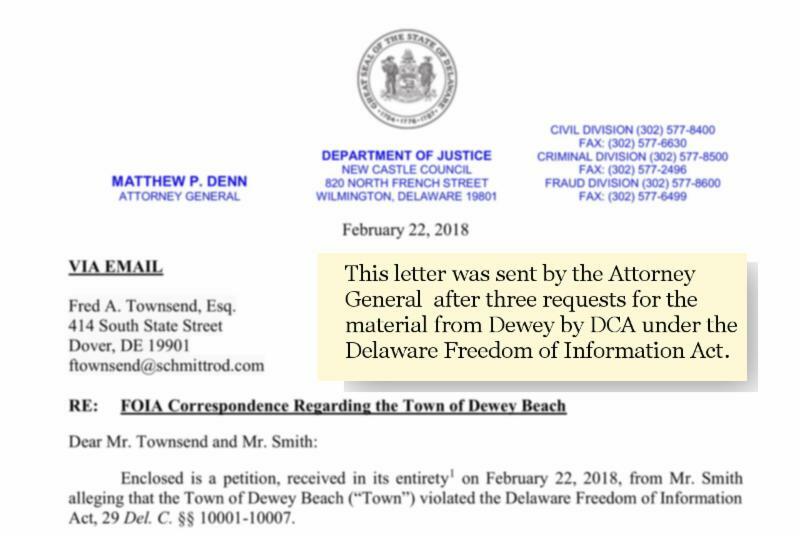 A four month quest by residents to find the locations of the 36 Military vehicles received by the Dewey Beach Police Department since 2015 succeeded the day after the Attorney General demanded Dewey provide the location of the vehicles to the residents. The location, well north of Dewey was then reported in the Cape Gazette this week. And extensive photos of the location were provided by DCA members today. The vehicles are one group of $2.8 million of equipment that the Dewey Beach Police has acquired since 2015 through the Military Surplus program, along with an off budget fund, all maintained without approval or by Town Council or the Mayor, according to an independent review done in September 2017 by an attorney hired by the town. Dewey’s acquisition of these vehicles, boats, tractors, and approximately 500 items, including M-16 weapons was entirely outside the Dewey Budget process according to media investigations this month. Of greatest concern are the extensive equipment sales by the Dewey Police Department for which the money has not been accounted for in the bank accounts that only the Dewey Police Department has access to. These hidden accounts have been termed a “slush-fund” by whistleblowers in the Police Dept. The Town Council passed a resolution on November 11, 2017 to require the Police Department provide the information, but the Police Department has not complied. There is also a review underway of all town procedures, but because of lawsuit by the Police Department alleging “harassment” that review does not include key components of an Audit, or any review of the off-budget police Department spending. Dewey is off the charts in its participation, and no explanations have been forthcoming. Its clear that the equipment was not used by DBPD for the purposes that were claimed as the basis of their need for it. Our volunteer group of residents have found the location of some vehicles and and have taken photos and identified them as eight (8) of the 36 vehicles. Residents are requested to respond in the Petition here to demand that Dewey provide a full accounting for the location and purpose of the huge amount of equipment and especially the sales proceeds. The Dewey Citizens for Accountability, was founded and first issued a group letter to Council on October 6, 2017 signed by 31 residents urging the new Mayor and town to implement recommendations of the Walton report. The entire volunteer group of residents monitors and provides input to the activities of the Town of Dewey Beach. DCA’s volunteers are residents with skills in business, the military, law enforcement, accounting, management among others who monitor and provide input towards the goal of bringing accountability to Town Council and Town hall for the residents of Dewey Beach. If you agree that the Walton Report recommendations should be implemented, and have a skill and interest in doing so, please email us with a note of how you might be able to assist us at news@deweycitizens.org, and we will contact you. We do not solicit for, or accept money and are not associated with any Dewey business interest, or owner of any commercial real estate. We unite under the banner of Accountability without regards to political affiliation, political group, political person, or interest group of any type.